Weddings can be very expensive, and if you have the money – that is ok. In fact, we encourage you to appreciate the value in this investment. A wedding is more than just a party, and you, your partner, and supporting family members are not throwing away money, you are building something new and fantastic. With every penny you invest in your wedding you are making choices to support your local community business leaders, and you are investing in your community. The wedding business is semi-recession proof in that people will always get married. 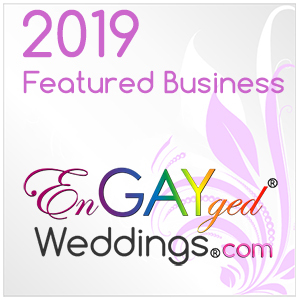 But that doesn’t mean all wedding businesses will last. And the decisions you make from your venue, florist, planner, to your wedding dress purchase, will have a true impact on your community. Amazing right? While some will tell you to feel guilty about the waste of wedding expenses, I say ask them – what did you do to help support your local community and charitable causes today? Our corporate office may be growing and small, but we are a local company and we believe in a lifestyle of supporting our community. Through years of involvement with community boards to support education and other causes we believe in, to a determination to donate to causes we believe in, specifically promoting local schools, science education for our youth, and the arts, as individuals we believe in giving to a variety of causes every year, too. In that spirit, today I’d like to highlight a perfect example of how investing your wedding budget in local businesses and choosing venues and vendors who support the community through charity, can make this investment in your future meaningful to the broader community you love. Brides for a Cause is an example of how your budget can give back. Here’s how it works, brides and bridal shops donate barely used or brand new (tag still on) dresses to Brides for a Cause, as a non-profit 501 (c)(3) they then sell the gowns to brides in their Portland Salon, and the proceeds go to help causes that help women in your community. One of the benefactors of their efforts this year is Abby’s Closet. As a PTO mom of high schoolers, I appreciate this because I’ve seen first-hand how hard it is for some of our Seniors to feel they can participate in all of their end-of-high school celebrations, while they are trying to figure out how to afford a college education! What do they do? They take in new and like-new used prom dresses and put on an annual event at the Portland Convention Center to connect teens to dresses – so no Senior has to feel that the cost of a dress is an opsticle to attending their prom. Seriously, their hours are drop in, no appointment. No matter your budget, every bride should start here when looking for a dress. At worst, you don’t find your dress, but you get an idea of what you love. At best, you get a deal and support your community. And for the bride on a budget or looking to elope, this is a fantastic option for you. They have a huge selection in various sizes in stock. Odds are good you could find a perfect for you dress with very little stress or wait.